Did I mention that we won? We did. But what made it really special was the opportunity to develop our product and adapt it to the harsh requirements of the financial sector. It's not easy presenting a proof of concept to a bank that serves 16.6 million customers in 14 CEE markets. So what does kompany do exactly? Primarily, we're a RegTech platform that helps you save time and money. We've also made it easier for you to meet complicated compliance requirements. If you have KYC, AML and EDD needs kompany has a solution for you. We've integrated multiple services into a complete cloud-based platform. Which means that you can access real-time and audit-proof data on any company in 150+ jurisdictions from your desktop or through our powerful API. Do you need official documents? Not a problem. You can instantly download those too. Can't find what you need? Our concierge service will take care of it. The Elevator Lab? A great opportunity for startups in the FinTech and RegTech sector. Coming up with the Blueprint for Business KYC wouldn't have been possible without the insights from RBI's experts and workshops organised as part of the Elevator Lab. As partners they created a unique and exceptional working environment that helped us develop a business KYC solution for the RBI Group. Combining our cutting-edge technology with years of experience in the financial sector, we pitched an advanced digital solution to Raiffeisen Bank International (RBI) that addresses future challenges too, leading to a competitive advantage. Just to give you an example: Under AMLD4 and MIFID II audit-proof verification is mandatory. This includes primary source, real-time and time-stamped information with ensured data integrity, which kompany offers by design. We set up our platform in such a way to quickly include new regulatory processes as they become law. Currently, we’re developing an advanced KYC tool – a shared working environment where teams can collaborate on individual compliance cases. After being part of RBI’s Elevator Lab we were confident that we have a great product – perfect for addressing compliance issues in an uncomplicated, straight-forward way that's also official and audit-proof. 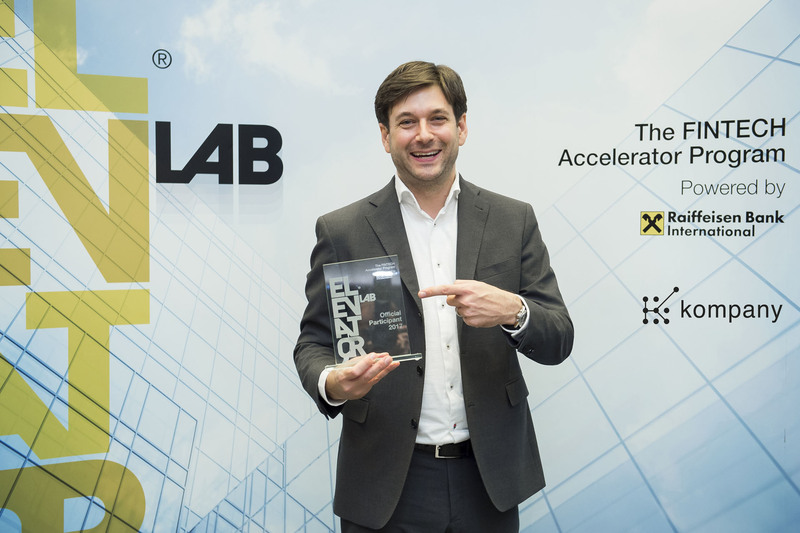 Winning Elevator Lab's first batch was great, but we got so much more out of this amazing accelerator program. RBI was a great partner through the whole process, from the executive team to the in-house experts. Today we are proud to announce that RBI is now also a customer. Thank you to the whole RBI team!